The scientific literature is replete with health, growth, and developmental benefits when very-low-birth-weight (VLBW; ≤1,500 g) infants are provided their own mothers’ milk (Lucas et al. 1992; 1994). These benefits are provided through a combination of nutritional, enzymatic, anti-inflammatory and anti-infective properties within human milk (Meier 2001; Schanler 2001; Mathur et al. 1990). Despite these documented benefits, fewer than half of women who give birth to VLBW infants in the United States initiate and maintain lactation (Ross/Abbott 2000). In the Rush Mothers’ Milk Club program of breastfeeding interventions, all mothers of VLBW infants are targeted by NICU care providers and encouraged to provide human milk for their infants, regardless of initial feeding intent. 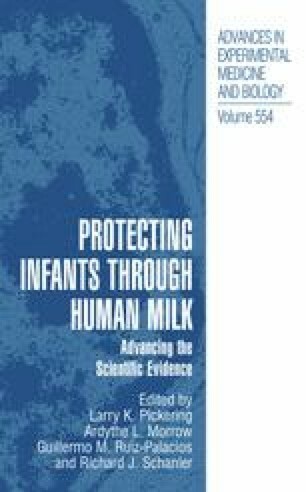 The purpose of this study was to examine maternal decisions and responses to providing milk for a VLBW infant when the mother’s initial intent had been to formula-feed.